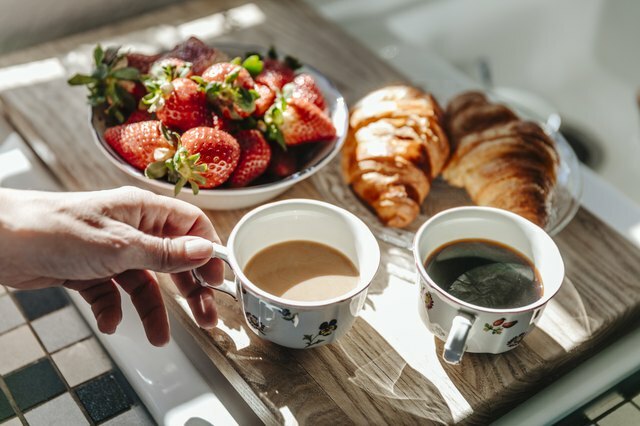 A continental breakfast can be a thing of beauty – a healthy, nutritious and satisfying alternative to a cooked meal – or a dull disappointment, a choice between an old apple or prepackaged muffin with your Styrofoam cup of coffee. If you have reason to prepare a continental breakfast buffet yourself, perhaps when hosting guests in your own home, you certainly want to aim for the former. Putting together an elegant continental breakfast buffet isn't difficult if you focus on freshness and thoughtful presentation. To amp up the sophistication factor, aim for quality over quantity, use real tableware and remember that a few fresh flowers can make all the difference. Baked goods are the essential, carby component of a continental breakfast. Include at least one type of bread and one sweet thing to cover all your guests' appetites. If you have the skills and desire, go all out and bake something from scratch; otherwise pick up something special from a local bakery or the bakery section of the supermarket. Offer an artisan loaf of whole-grain bread for a healthy option, a few different fresh bagels or a crusty baguette. 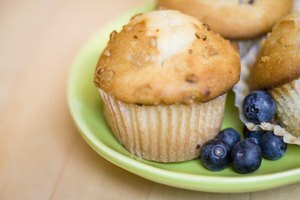 For the sweet option, think beyond the standard blueberry muffin and consider a full loaf of banana bread, individual coffee cakes or zesty lemon scones. If you can't make or pick up baked goods close to breakfast time, keep them in the freezer and pull them out the night before to thaw. You might even warm your baked goods in the oven before breakfast for bonus hostess points. Fresh fruits are a vital component of a continental breakfast, not only delicious and healthy, but adding lots of bright color to any arrangement. By all means, put out a bowl of apples, oranges and bananas so your guests can take a snack for later (doesn't everyone pocket a piece of hotel fruit in case of emergencies? ), but also include something a bit more special and preferably seasonal. Find pre-cut fruits at the market or cut up some tropical fruits like pineapple, kiwi and mango. A selection of fresh berries is always beautiful and requires minimal preparation. Also offer plain, unsweetened Greek yogurt, which is thicker and feels more luxurious than regular yogurt. Your breakfast guests can sweeten or add fruit to their own portion for custom parfaits. Some quality granola is also nice to sprinkle on top. Lend a touch of European style to your continental breakfast buffet (Europe is the meal's titular continent, after all) with a platter of good cheeses and cold sliced meats. Don't skimp on the quality here – steer clear of the prepackaged stuff and get it sliced at the deli counter. Ham is traditional for breakfast, but a flavorful salami or Spanish chorizo works well too, as does cold, cooked bacon for an American angle. Include one firmer and one softer cheese, such as a crumbly cheddar alongside perfectly ripe brie, or an aged Swiss plus a mild chevre. Coffee is probably the most essential element of any breakfast buffet, and unless you want to play waitress and take your guests' orders, you have the following options: Place a single-serve coffee maker plus a selection of pods in an accessible spot; brew a full pot of coffee and set the machine to keep it hot; or fill an insulated carafe with hot coffee and put it among the buffet items. Remember to offer a selection of tea bags, too. Hot water for tea could be in a carafe, or you can put out an electric kettle full of water. 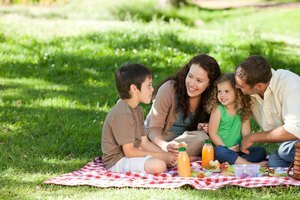 For cold drinks, you'll need a large pitcher of water (keep it in the fridge overnight) and at least one type of fruit juice. Individually bottled smoothies are another option. Offer everything your guests might want to spread on toast – butter, jams, marmalade, honey, Nutella, cream cheese and peanut butter or other nut butters. You'll also need cream or milk for coffee and tea, along with sugar and alternative sweeteners. If you have some individual packets of these stowed away, now's the time to use them. If your aim is an elegant breakfast buffet, paper plates and plastic utensils will not do. Set out real ceramic plates, cups and silverware, cloth napkins and glasses for juice and water. It's generally better for presentation if everything matches, at least in style. If you're using Grandma's fine china (finally! ), stick with the vintage theme throughout. If you have all-white dishes, keep the rest of your presentation sleek and modern. The local dollar store is a great place to cheaply fill any gaps in your dishware collection. Arrange all the foods and drinks in one spot, perhaps a kitchen counter, island or a spare card table, to make it easy for your guests to serve themselves. Cover an unattractive surface with a tablecloth (which could really be a sarong) or unraveled roll of butcher paper. Don't forget to move your toaster to the area, along with tea and coffee provisions. The absolute easiest and most effective way to present your food selections elegantly is to get rid of all original packaging. Keep those sticky jars and plastic containers out of sight. Transfer butter to a butter dish and dispense condiments into small serving dishes, each with their own spoon or knife. Print or hand-write labels for your items, if you wish. Set out baked goods on a wooden cutting board or wrap them up in a clean, new kitchen towel. Fan out sliced fruits and cluster berries on one platter, with cheeses and cold meats on another. Spoon Greek yogurt into one bowl or glass jar, and granola into another. Remember to add fresh flowers to the table as the perfect finishing touch. The Kitchn: What Is a Continental Breakfast, and What Makes It Continental? Joanne Thomas has worked as a writer and editor for print and online publications since 2004. As a specialist in all things food and drink, she has penned pieces for Livestrong, Robert Mondavi and Modern Mom, among other names. She found her first jobs in a series of kitchens before moving on to celebrate food via the written word. Thomas resides in California and holds a bachelor’s degree in politics from the University of Bristol, U.K.
What Foods are Good to Serve at a Wine-and-Cheese Party? 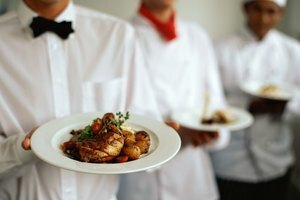 What Are the Courses in an Eight-Course Dinner?